Quaint canal walkways, chic dining experiences, breathtaking historic landmarks, picturesque parks and stylish modern shopping opportunities; Birmingham is the city which has everything. Whether you’re seeking a quiet suburban life, or looking to revel in the bustling and bright urban city lights, there’s an area of Birmingham to match you and your personality. To help you decide which part of Birmingham is best suited to you, we’ve compiled a guide, filled with all the details and information that you’ll need to ensure that you find your ideal future home. Situated within central Birmingham lies the cultural hubbub of the Jewellery Quarter. So named for its prestigious and historic production of jewellery, the quarter has since flourished to become a picturesque and idyllic setting, and the perfect spot for those seeking a cultural adventure. 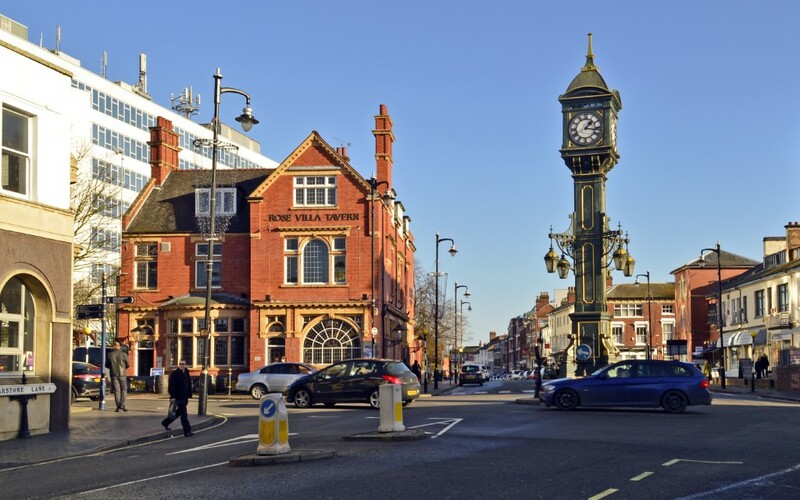 Bursting with charming restaurants, beautiful parks, unique galleries and colourful cafes, the jewellery quarter is full of character and life, making it the ultimate destination for all those looking to experience a new side to the city. For those looking to enjoy the more vibrant and bustling Birmingham scene, Digbeth is the ideal location. A mere ten minute walk from the cosmopolitan Bullring shopping centre, Digbeth is home to an exciting array of bars, restaurants and shops, and is the media home of the city. Perfect for those looking to embrace the nightlife of the city, Digbeth is the new up and coming community of Birmingham. Perhaps the most picturesque part of the city, Brindleyplace is an exquisite sight for the eyes. Lined with luscious trees and paved in cobbled pavements, the canal winds through Brindleyplace, creating a beautiful waterway view that captures the charm and character of the area. With fine dining, theatres and live music, Brindleyplace is a vibrant location that will enchant all your senses. Renowned for its learned profile, Eastside boasts an impressive array of museums and galleries alike. The ideal location for those who want to soak up the city’s culture, Eastside is the hub of the scholarly scene. Though it may be primarily famous for its museums and exhibitions, there is far more to this location than meets the eye. With the impressive Eastside City Park taking pride of place, the area is covered in greenery, making it a visually stunning location that complements the artistic nature of the area. The most diverse and exciting area of the city, Southside is home to the electric and vibrant Chinatown, Theatreland and Gay Village. Awash with exciting cuisine, dynamic nightlife and outstanding entertainment, Southside is the ideal location for all who are seeking truly unique and thrilling city living. With such an eclectic range of experiences available just outside your door, every day and evening is guaranteed to be an adventure. If you still need help on deciding which part of Birmingham is right for you, contact one of our friendly team and we’ll be more than happy to help you on your journey to finding your dream home.